One of the great things about living in a community like Braemar is seeing your neighbors out and about as they go for jogs, walks or to take a stroll with their pets. By the looks of the number of Braemar residents walking their dogs alone, I’d say we live in a community full of animal lovers. 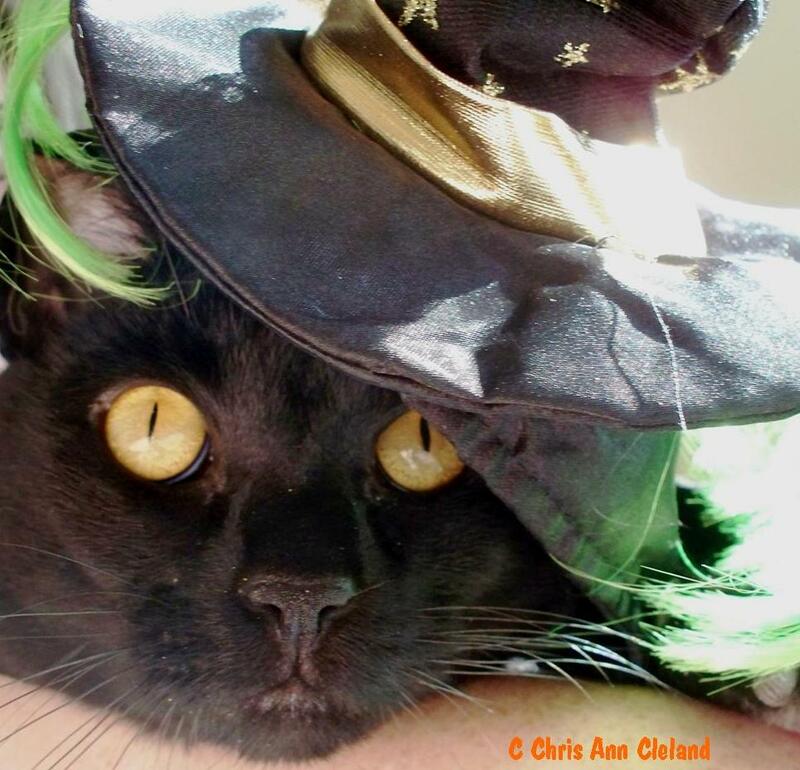 As an animal lover myself, I am very aware of the stress that Halloween can put on my pets. The constant ringing of the doorbell and parade of oddly dressed strangers is definitely not what our pets consider fun. With that in mind, here is something that you can do to make Halloween a little less stressful for your pets, and in turn, less frightening for the little ones that are knocking at your door. Keep dogs and cats confined to a bedroom or another room away from the front door. When cats and dogs are confined to safe and familiar quarters, they are less likely to be stressed. Leave them with food and water and familiar bedding or toys. If you’re dealing with a cat, make sure there is a litter box in the room. If you’re dealing with a dog, make sure it’s had the opportunity to use the bathroom just prior to being locked up. In general, leaving animals outdoors during trick-or-treating animals does keep them from the front door, but may not prove any less stressful as animals have keen senses. Dogs will tend to bark in defense of their home and that can scare young children. Cats will have a tendency to run off and hide, if you don’t proactively find a safe place to confine them. 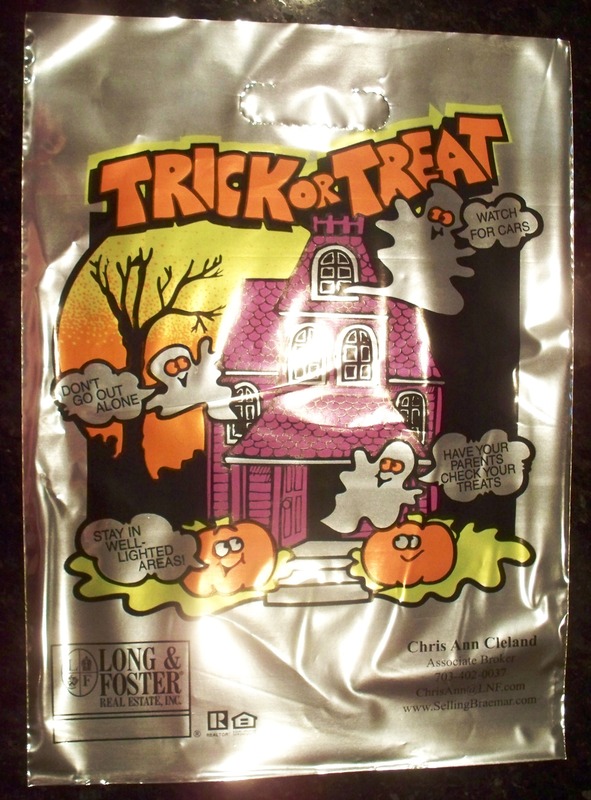 If you live in Braemar and are planning to attend the 2011 Braemar Halloween Spooktacular, your children will receive a free, reflective trick-or-treat bag compliments of me, Chris Ann Cleland, your neighborhood Realtor®. 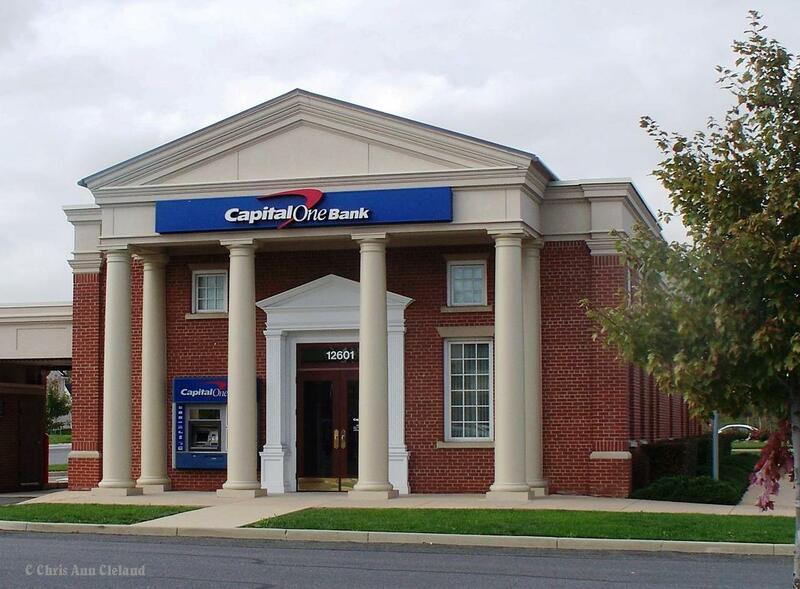 However, if you aren’t planning to attend the Braemar Halloween Spooktacular, or don’t live in Braemar, you still have a chance to pick up your free trick-or-treat bag, while supplies last, thanks to Capital One Bank at Braemar Village Plaza. Simply stop in to the Capital One branch located at 12601 Braemar Village Plaza and ask for your free trick-or-treat bag. Pretty simple, huh? Supplies are limited, so don’t wait until the last minute to pick them up. Happy Haunting! And make sure you click this link for Halloween safety tips. Thinking of Selling Your Braemar Home? 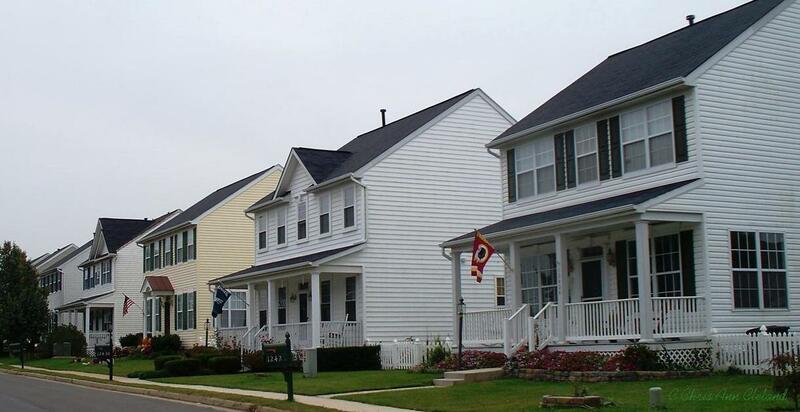 Get a Free Market Analysis From the Neighborhood Expert. 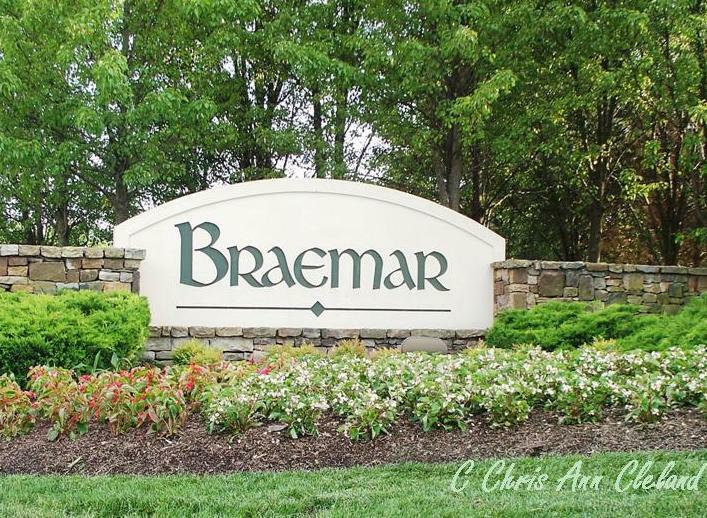 When you live in the Washington, DC suburbs, like Braemar in Bristow, VA, it seems there is never a bad time of year to sell your home. The Federal government is truly the fuel that feeds our local economy and keeps our real estate market churning all year long. Things may be busier in the spring real estate market, but that doesn’t always mean more money for Braemar home sellers. If you think about it, the fewer competitors you have on the market, the better the chances of getting a higher price on your Braemar home. It’s competition among Braemar home sellers that drives prices down. And fall is the time of year when 99% of those with a thought of selling their Braemar home will believe the wisdom of waiting for the spring market because that’s when the buyers are out. Having just helped Bristow home buyers in to a ratified contract on a Braemar home, I can tell you there are buyers out there in the fall. And the Braemar home seller who is on the market this time of year will be far more likely to see a higher sales price than they would in spring. That’s what little to no competition will do for you! So if you want a free market analysis of your Braemar home in today’s fall market, get in touch with me. As a Braemar resident and full-time real estate agent since 2005, I know our market better than anyone. And as a Short Sale Agent since 2007, I can help you sell no matter what your equity position. Remember, no one knows Braemar better! The 2011 Braemar Halloween Spooktacular is scheduled for Saturday, October 29th from Noon-2pm. It will be held at the Braemar Clubhouse, located at 12300 Iona Sound Drive. The main event at the Braemar Halloween Spooktacular is a costume parade and contest for the kids. Judging of the costumes takes place DURING the parade, so don’t be late because the parade kicks off the event. After the parade there will be a magic show and light refreshments. And I am personally happy to be sponsoring the event and offering a free Trick-Or-Treat bag to every child that attend. It’s highly reflective and has a few safety reminders to keep the kids safe. Remember, if you want to enter the costume contest, plan to be there for the parade which will kick off the event. 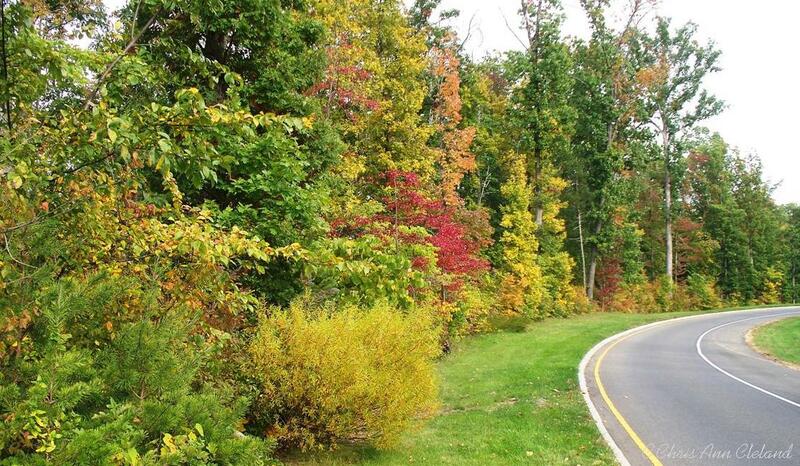 As I round the corner from Native Rocks Drive onto Tartan Hills Parkway this time of year, I love to see the foliage going from varying shades of green to their brilliant shades of red and yellow. I took the time to pull over and get out of my car on a way to preview a new Braemar listing for one of my Buyers. I’m sure the foliage will be even more brilliant in a few days, but who knows if I’ll have time to stop to capture that image. If you know anyone who is looking to buy or sell real estate in Braemar, fall is a great time of year to enter the real estate market. So much of our local economy is fueled by the Federal Government, and their new budget year started October 1st. Our community of Braemar has a Facebook group. It’s called Braemar Residents. This is a place where we discuss events in the community and other community related things. Lately, there has been some complaints about things that should NOT be posted in the group. One is classified ads. Seems folks like to post the items they want to get rid of, and what they need. It works well and so far, hasn’t really bothered me as a member. Maybe seeing the ongoing virtual yard sale bothers some residents, but it is a residential networking group. What’s the big deal? That’s the stuff folks would talk about at a school bus stop. As a real estate agent, I do post Braemar Property Value Reports on the group. I do this once per quarter for condos and once every other month for townhouse and single family homes in Braemar. This is relevant information for residents in the community and I hope that it is taken that way. If you don’t like the reports, you don’t have to click on them. The other issue the community Facebook group seems to be having is rudeness and confrontational behavior. Calling specific residents and children out for poor behavior is one example. Nasty and uncalled for remarks by residents to other residents with whom they may be having a disagreement. Why can’t we all just get along? Come on everyone. It’s a flippin’ Facebook group. Lighten up. The Braemar Board of Directors is likely about to get involved to moderate what is allowable content and what is not. Is that the kind of Braemar Facebook group we want? Three more months of Braemar condo sales are officially on the books. Let’s take a look and see if Braemar condo values are increasing, stabilizing or decreasing. As of today, October 2nd, there are three Braemar condos under contract and one available for sale. Those under contract are Short Sales. The one left for a Buyer to snag is a Foreclosure. 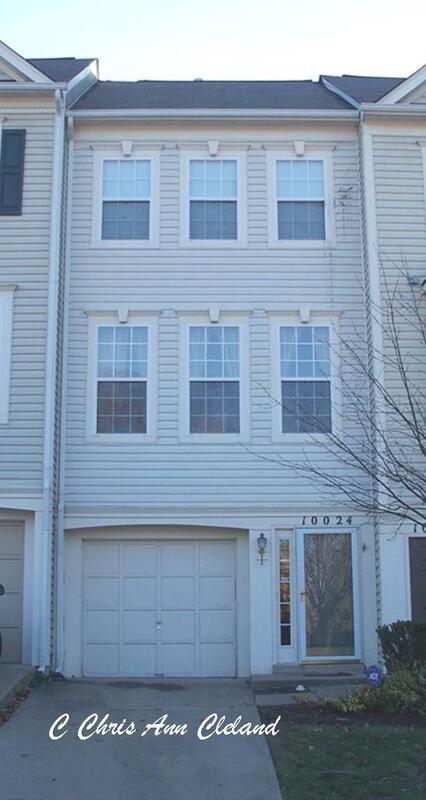 When looking at the range of list prices between these four Braemar condos, we see a low of $174,900 to a high of $220,000. If you guessed that the high list price was the one not under contract…you are CORRECT. After 31 days on the market, it’s time to re-evaluate that optimistic list price. Average list price of active and under contract Braemar condos is $193,450. As always, for the best idea of market value, it is best to look at SOLD prices. Data depicted in the table below reflects the Braemar condos that have sold during the last quarter. Of the two Braemar condo sales represented on the graph above, we have one regular sale and a Short Sale. 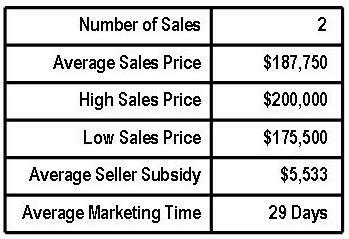 The high sales price comes from the regular sale. Looking back to the second quarter, high sales price increased by $5,000. However, the low sales price decreased by $4,500. What does that do to the average sales price for a Braemar condo? Well, the new average sales price for a Braemar condo is $187,750, down only 2% since last quarter’s value of $191,500. If you placed your Braemar condo on the market and priced it to current market conditions, this report also indicates you could expect to have a contract in 29 days. That’s only increased by 1 day since last quarter. You could also expect a buyer to request an average of 3% of the sale price in closing cost assistance. That’s double the average seller subsidy we saw in the second quarter. All in all, the Braemar condo market shows signs of stability. Hopefully we’ll see more of the same, or better in the fourth quarter. The next Braemar condo quarterly will be out in January. Until then, if you are contemplating the sale of your Braemar condo, don’t hesitate to contact me. I’ve been a full-time real estate agent and Braemar resident since 2005. I’ve also been a Braemar Short Sale Agent since 2007. No matter what your equity position, I can get you the most amount of money for your Braemar condo in the shortest amount of time. No one knows Braemar better!